Today is Thanksgiving. The sky is dark and has released a beautiful flurry of soft white flakes falling down onto the old brown leaves. 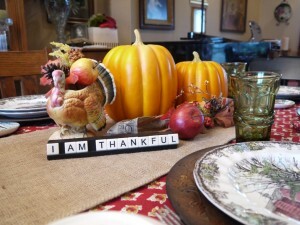 I have set my table with the old brown dishes, and the turkey is resting on the kitchen counter ready to go in the oven. 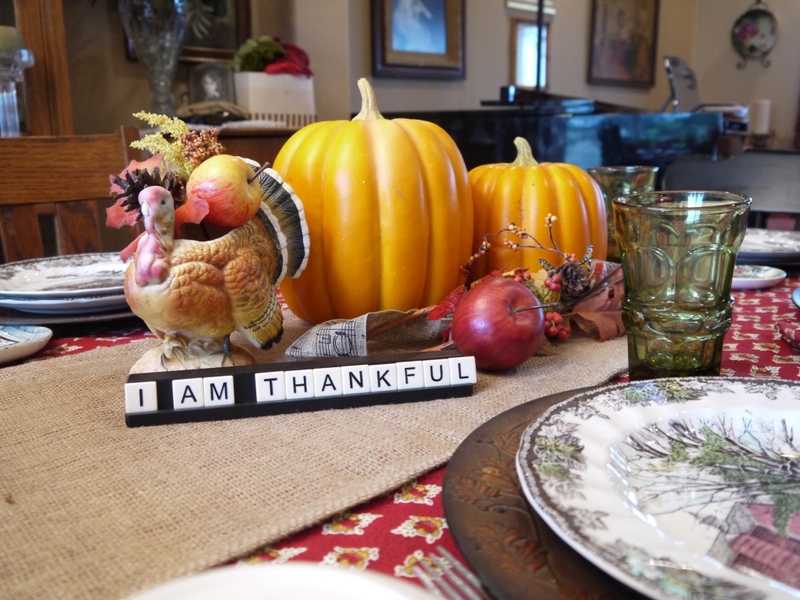 As I busy myself chopping onions, celery, and carrots, I begin to recite all of the things I’m thankful for …. Farmer Dean, family, the little old church in the grove, my Bible study friends, my radio show, and my wonderful Best Life staff. The year has brought many changes to us, including a new furnace at the little church, a new radio show, and many conferences. Our grandbabies are growing and flourishing, as Jonah (6 year old) started kindergarten. He came home from school the first week and called his Papa Dean. “I don’t want to go back!” he told us. We embraced our son-in-law as he went through cancer surgery and came out the other side healing and cancer-free. We loved deeply, we encouraged as much as we could, and we relished the days. As we have prayed for the wonderful 40 year old country singer, Joey Feek, who is dying of cancer, we have been reminded of the fact that we don’t control our lives … God does. And sometimes life doesn’t make sense. In the big scheme of things, a turkey and stuffing doesn’t matter. A flurry of snowflakes doesn’t matter. Whether or not I remembered to set the pickles on the table isn’t important. But in the big scheme of things, what truly matters is that we’re alive. That we’re thankful and grateful. That we can look next to us and see the loved ones in our lives. And that we can thank God for His unconditional love.